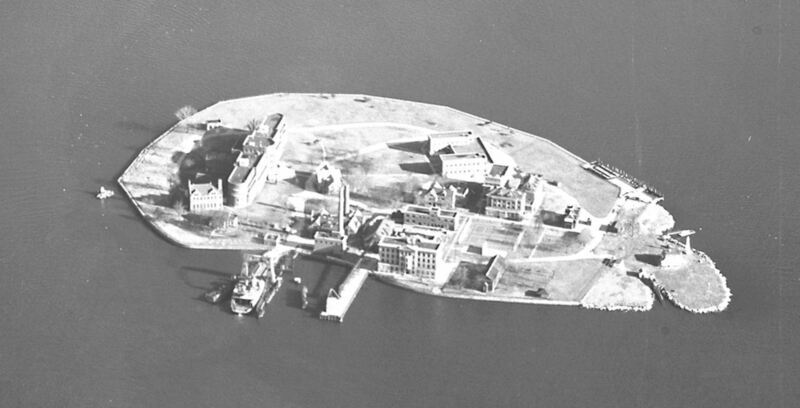 North Brother Island, 1957. Picture taken by Fairchild Aerial Surveys, Inc. 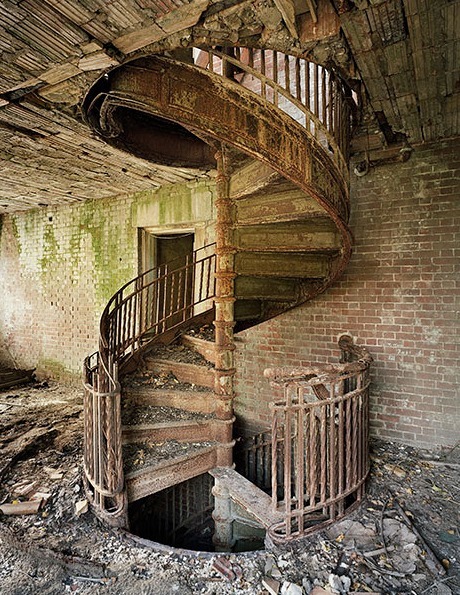 When I first saw a picture of North Brother Island, I knew I had to include it in my novel. Not only because it’s a scary place that feels like it belongs in a horror novel, but because it’s a preview of what’s to come. Most apocalyptic novels seem to think the world will turn into a desert. Practical experience shows that, in the northeastern US at least, the apocalyptic ecosystem will actually consist of trees. 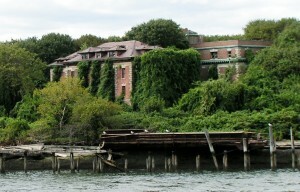 North Brother Island was inhabited up until the mid-1960s, and has been abandoned for fifty years. That’s long enough to effect the transition from the tidy little medical complex shown at the top to the ruins shown below. If the world collapsed today, all of New York City would look like that by 2050. That’s remarkably fast, much faster than I ever would have thought. The building the kids call home is in the upper left corner of the photo below. 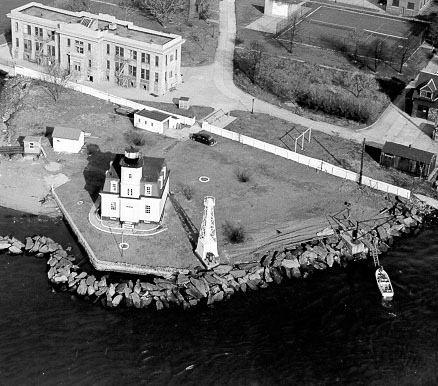 This building faces Rikers Island, giving the children a good vantage point for keeping an eye on their neighbors to the north.